Back after being off the market for a while! If you want entertainment in your act or in performing magic for friends -then here it is! A magician tells his or her audience that a prediction has been made-a jumbo card is in an envelope marked "prediction." An audience member selects a card from a regular deck. 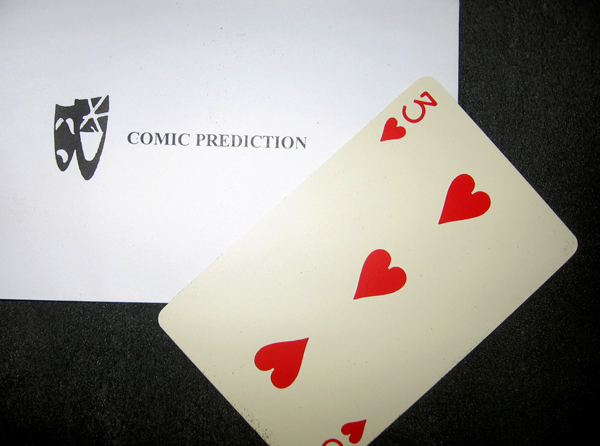 Then comes the comedy revelation (a fifty -two on one card), although, to the audience's surprise, the chosen card really appears on the back of the prediction as promised - Great close-up or parlor.